With the eight inches of rain we received in two days back at Christmas time, we became aware that the ~23 year old house had a leaking roof vent. So we took a clear afternoon and got out the ladder, some roof vent goopy-goop, latex gloves and proceeded to smear each vent with a layer of sealer. 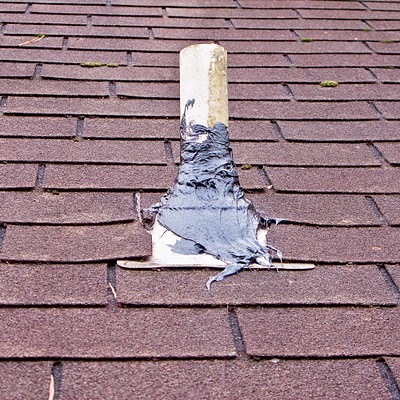 We're hoping the sealer does the job and when we wind up replacing the roof (original to the house) we'll replace all the vents outright.